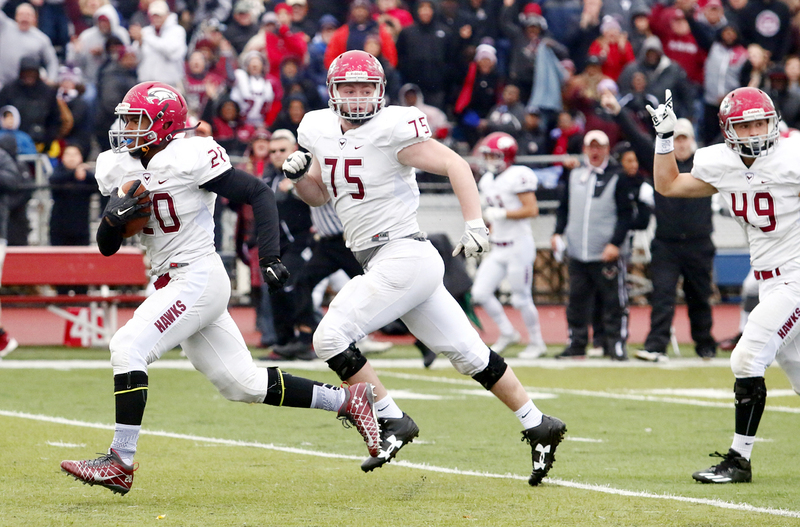 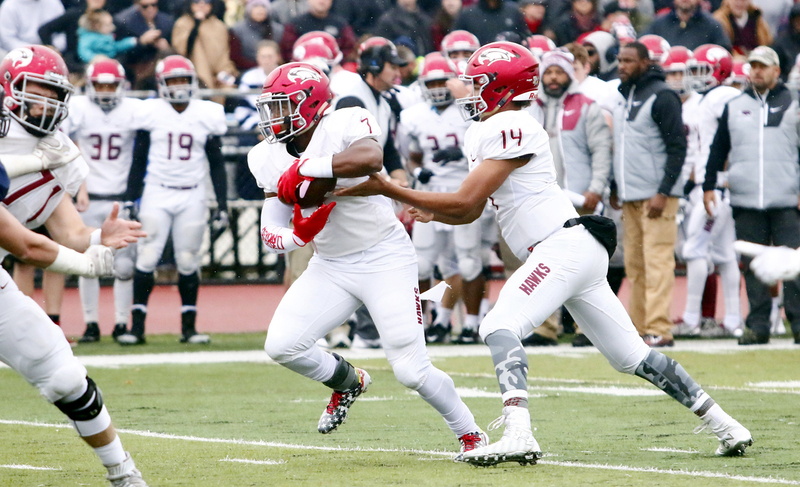 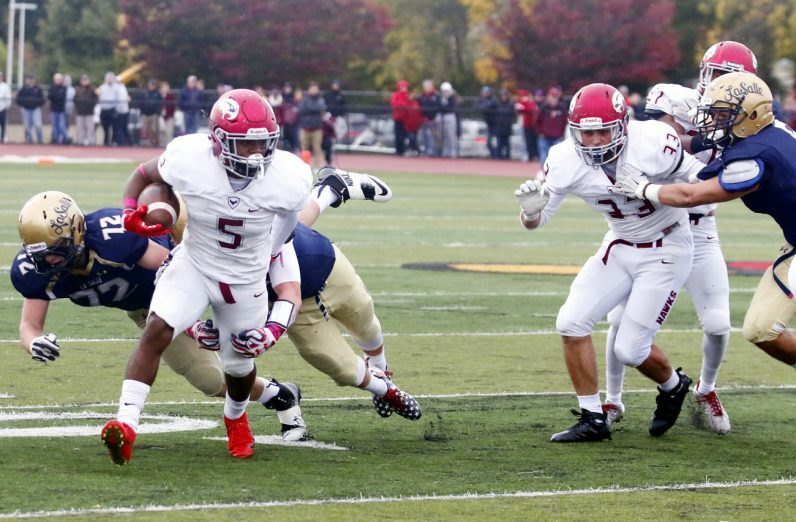 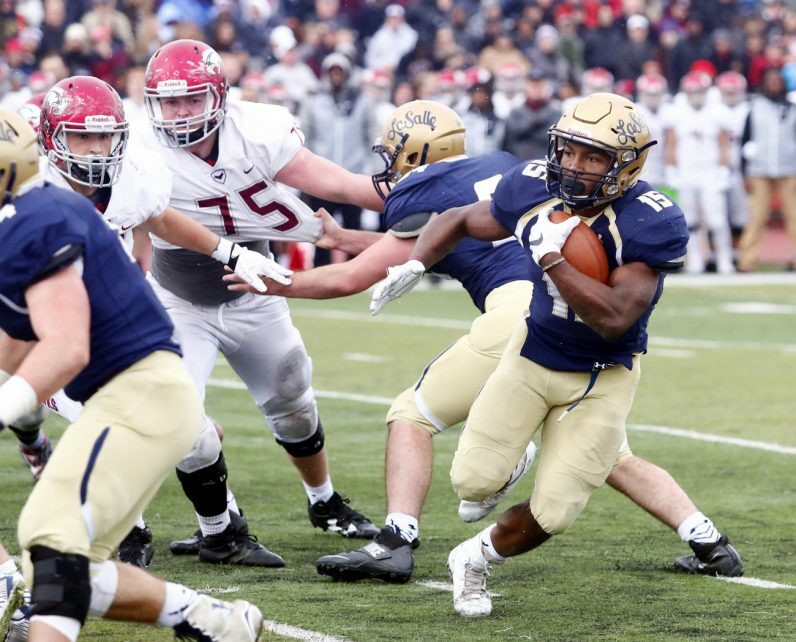 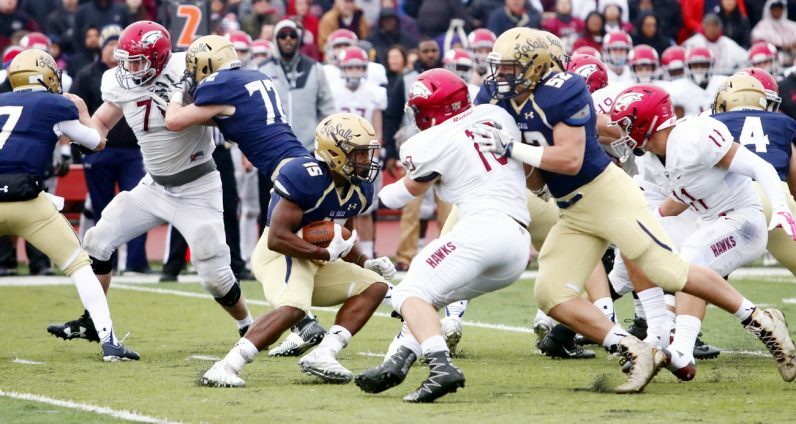 St. Joseph’s Prep wide receiver Terrance Greene stretches across the goal line with La Salle’s Tre McNeill on his heels during a game Oct. 22 that clinched the Catholic League championship for the Prep. 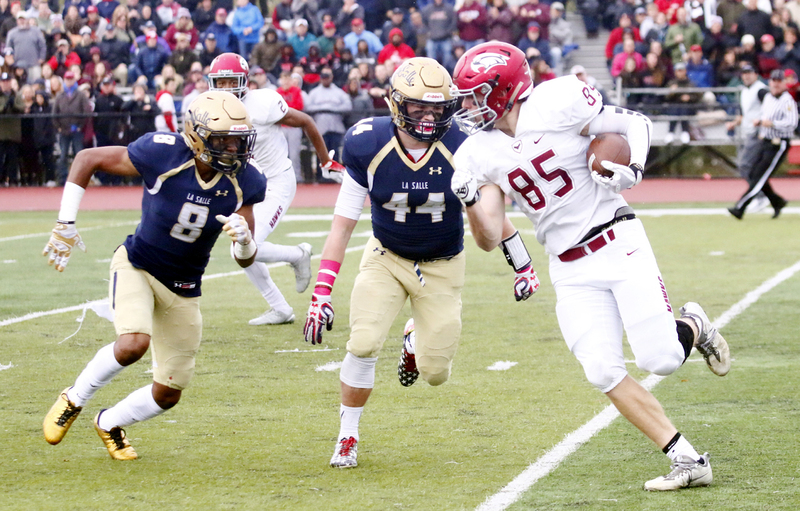 Both players were named All-Catholics in their position. 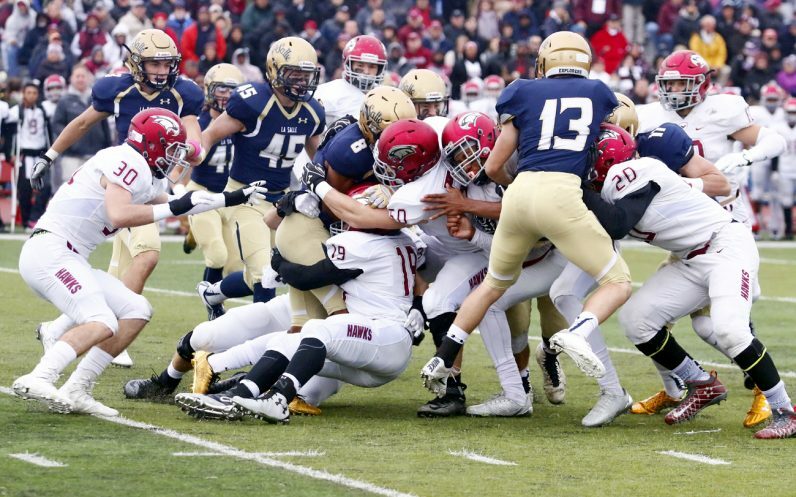 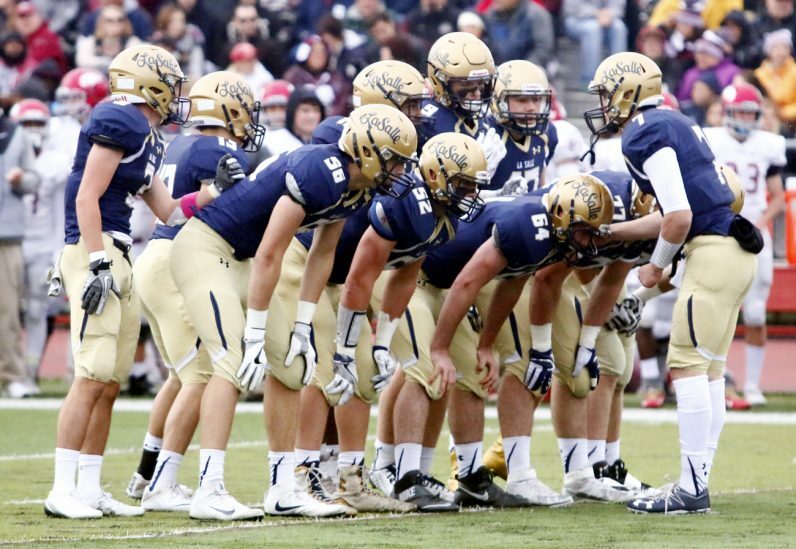 After La Salle took possession following a fumble, quarterback Tom Lamorte and running back Manny Quiles bobble the handoff, causing a fumble recovered by the Prep. Prep defensive end Rayshad Wallace recovers a fumble and runs in for a touchdown. 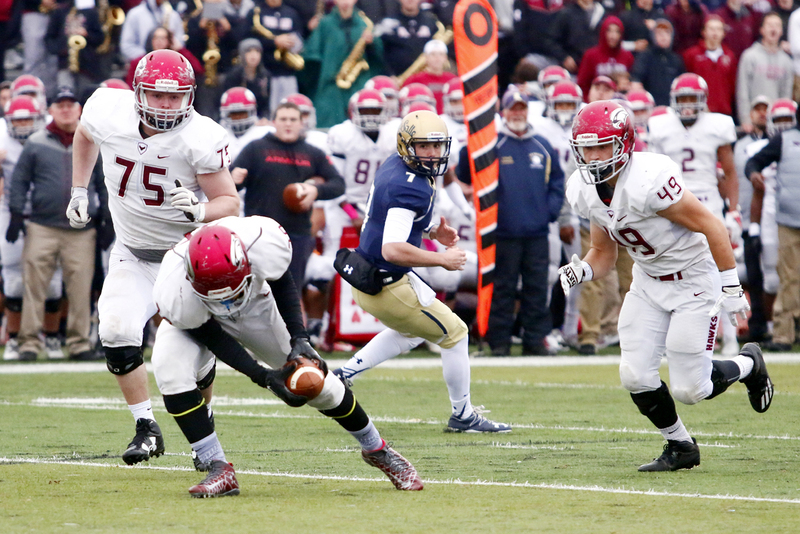 The Prep’s defensive lineman Ryan Bryce follows Rayshad Wallace as he recovers a fumble to score. 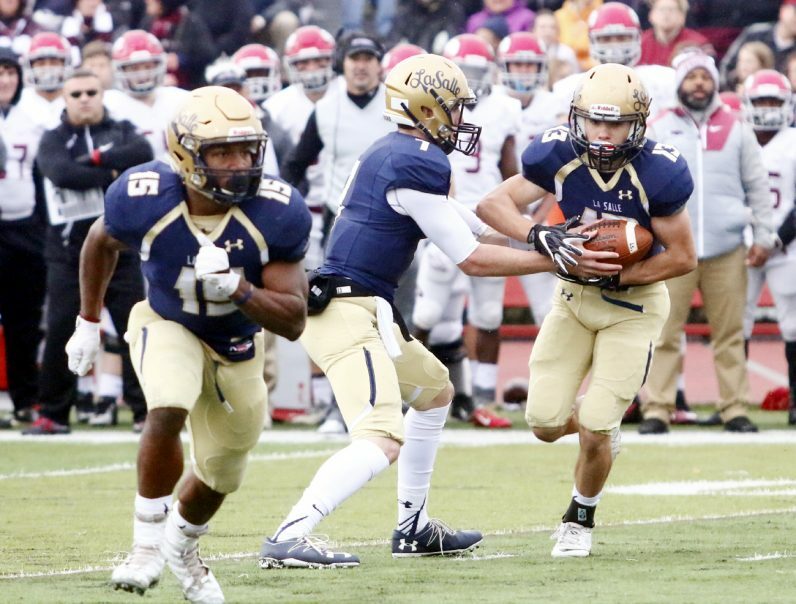 La Salle quarterback Tom Lamorte hands the ball off to running back Manny Quiles. 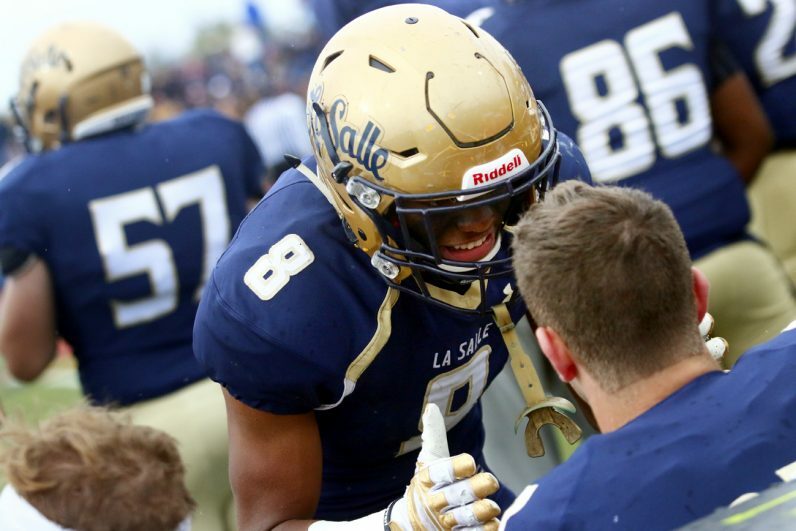 La Salle’s Tre McNeill (left) and Austin Lemke close in on the Prep’s Jack Crossed. 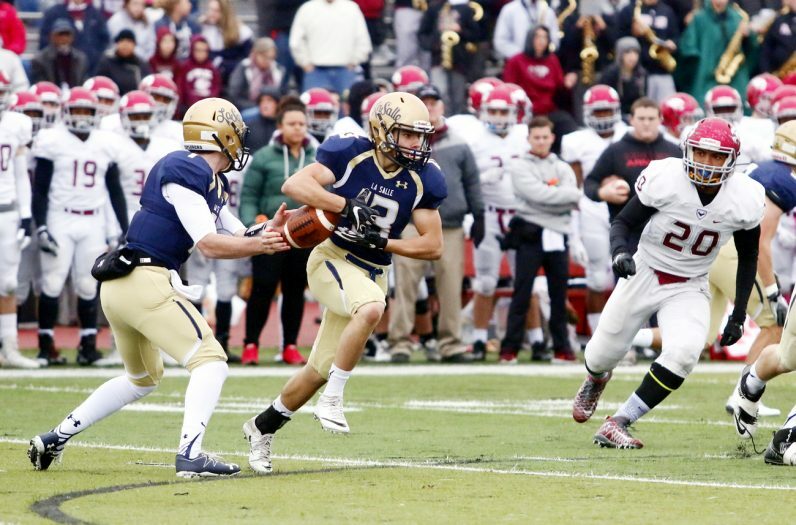 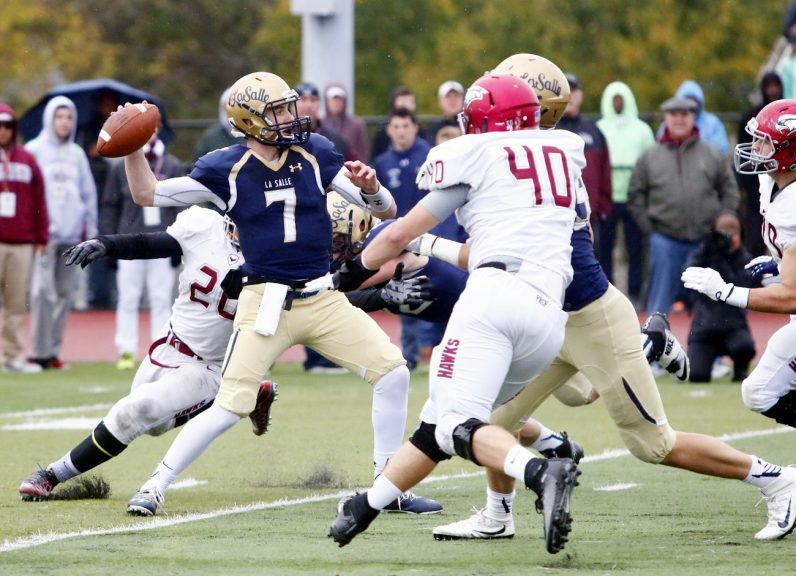 La Salle quarterback Tom Lamorte completes a pass. 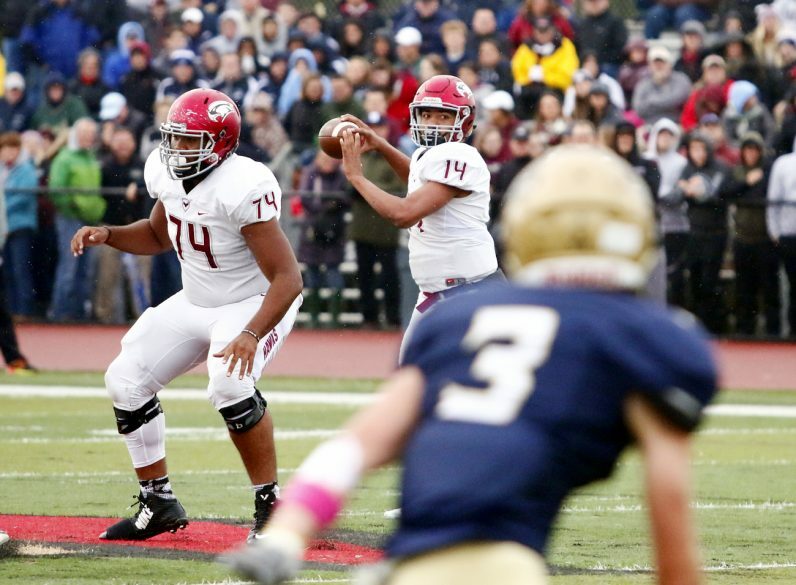 Prep quarterback Marquez McCray evades a sack by the La Salle defense. 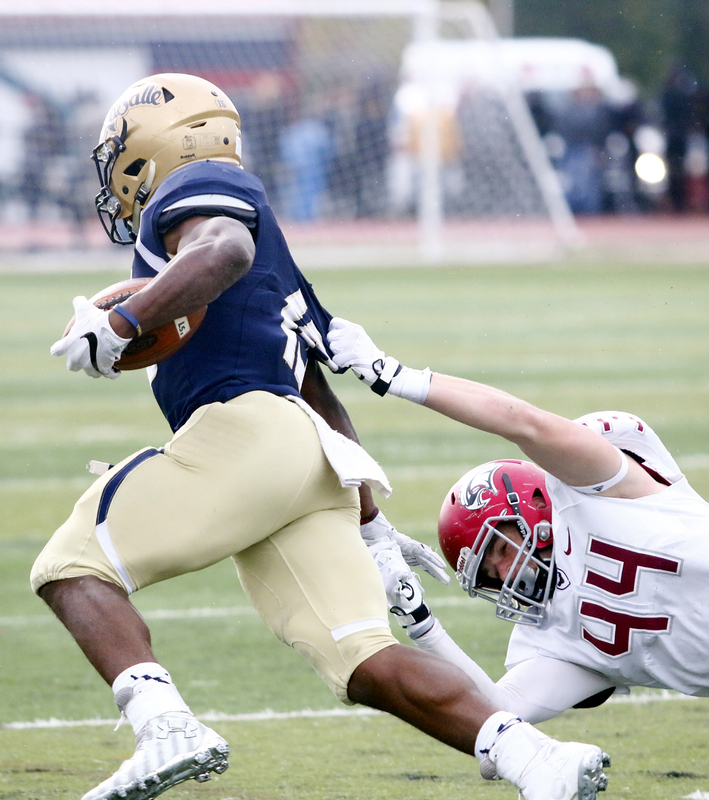 La Salle senior running back Syaire Madden makes a cut to gain yards. 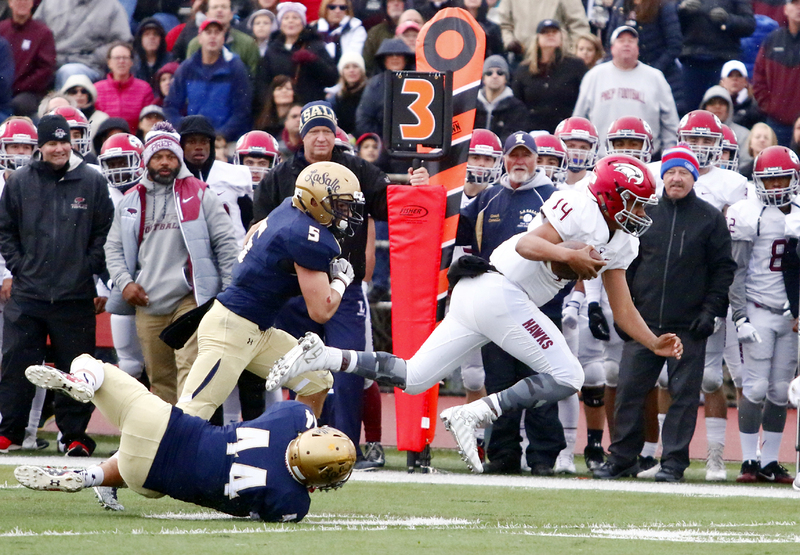 Prep quarterback Marquez McCray gains a few yards on a run before being tripped up. 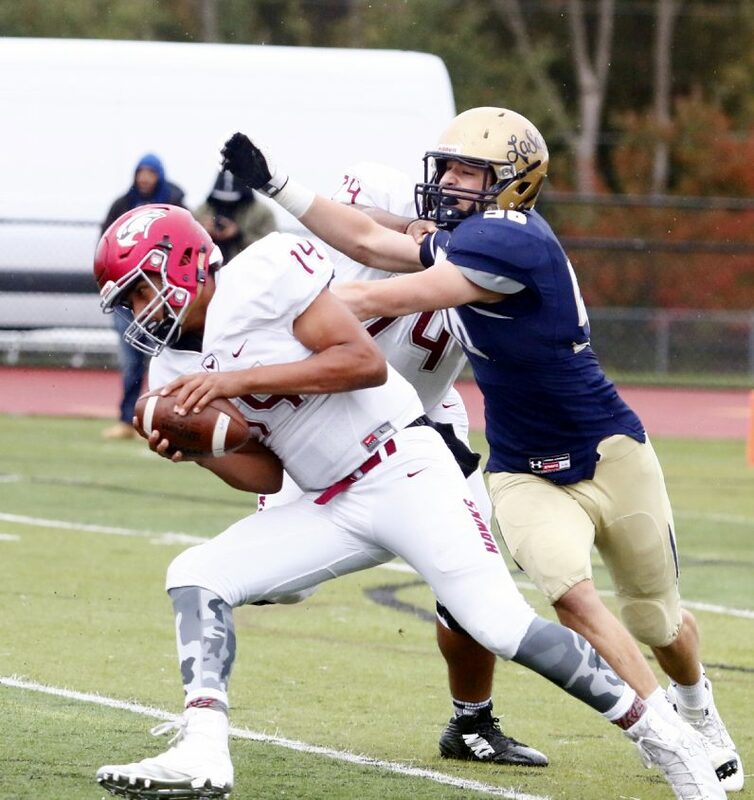 Prep co-captain Richard Carr breaks the tackle of two Explorers to gain yardage. 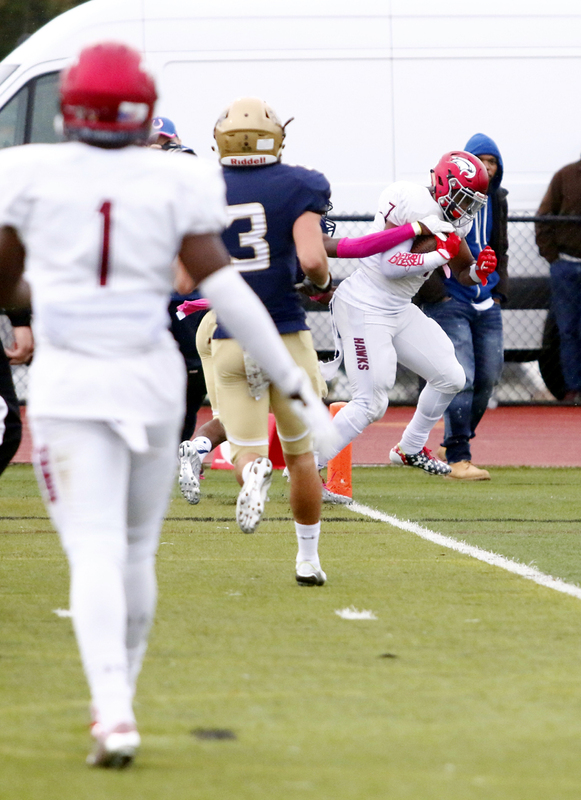 Prep co-captain D’Andre Swift scores one of his seven touchdowns on the day. 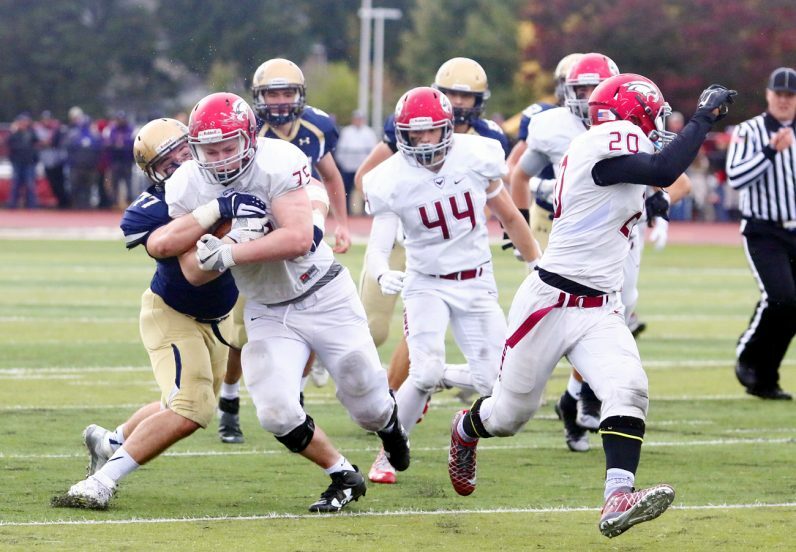 The Prep’s Bradley Cobaugh tries his hardest to bring down La Salle’s Syaire Madden. Ryan Bryce gains yardage for the Prep after grabbing a La Salle turnover.